Happy Tuesday Friends! 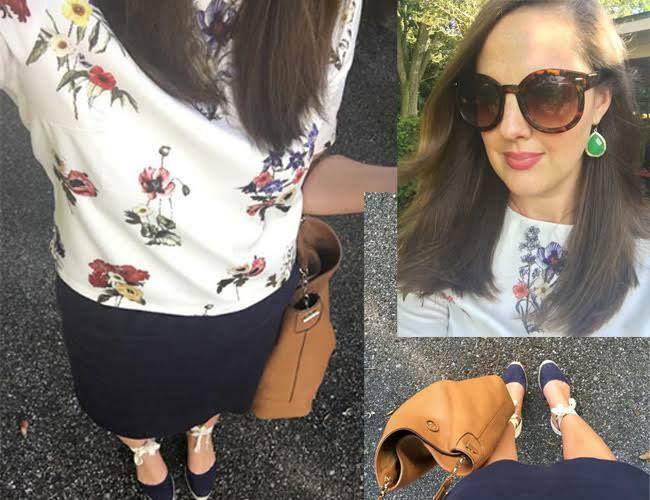 I thought I would try something a little bit new - somewhat similar to sharing my outfits of the week but with more of a breakdown. I thought it would be a fun and more casual way to share my current outfit favorites combined with my regular outfit posts. 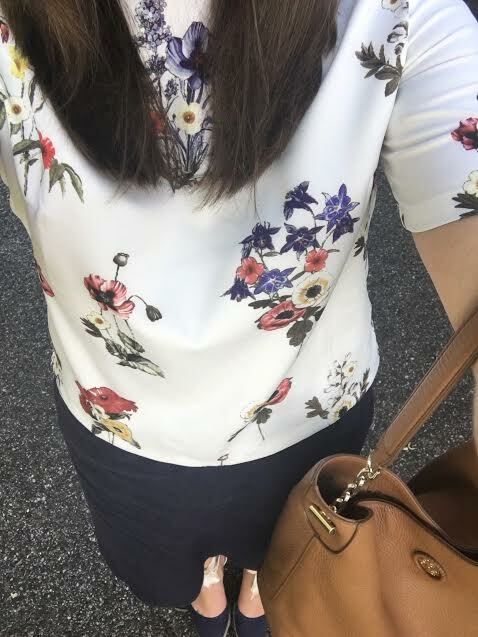 I wore this look on Monday and honestly this navy J.Crew Factory skirt is a serious work horse in my closet. I love it. I know sometimes it can be hard to really make the effort in the morning before work but it makes such a difference in how you feel throughout the day if you are feeling totally put together versus rushed and thrown together. I have recently been picking out my looks the night before and it makes such a huge difference. 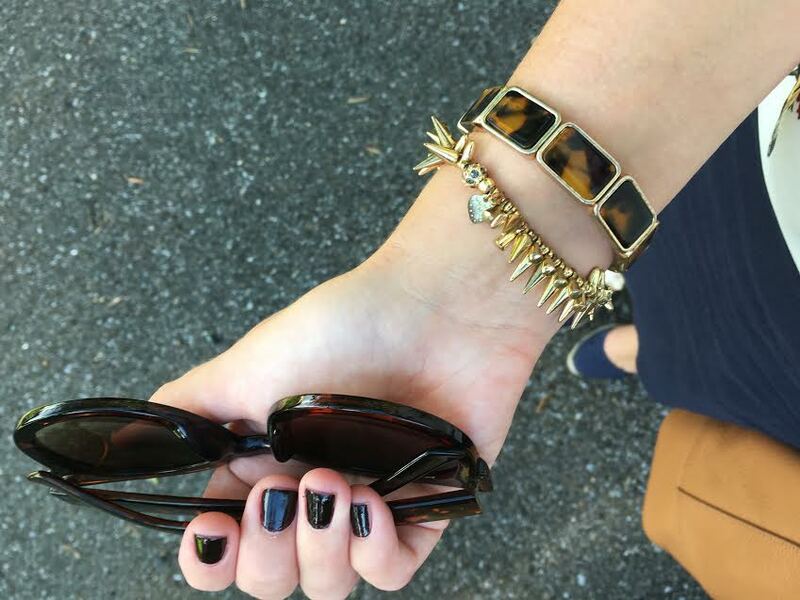 Little things like accessories and painting your nails really do go a long way - at least for me.